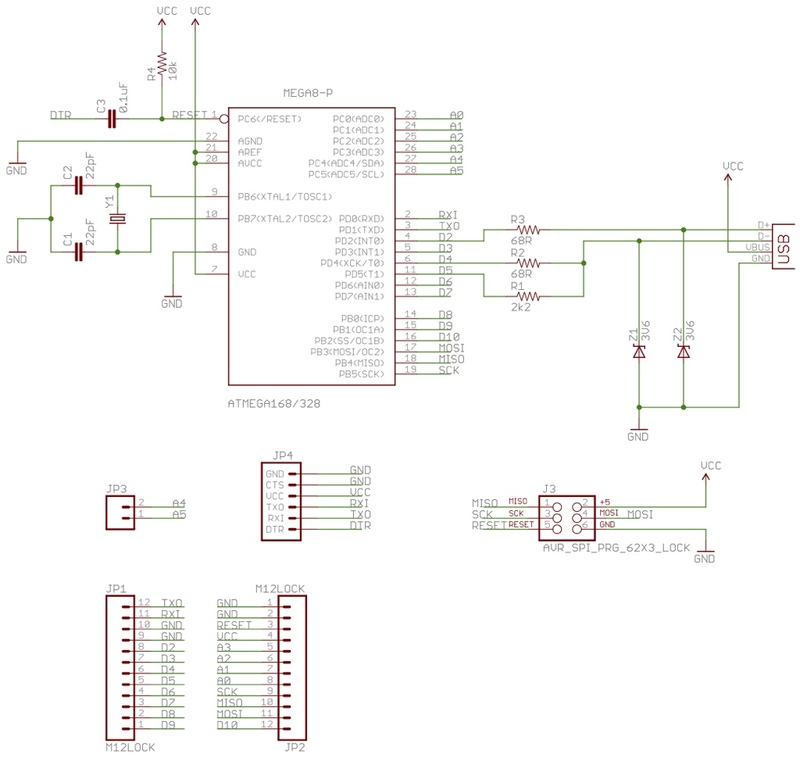 In my last post, I described a minimum configuration for an ATMEGA microcontroller, which is also used in the earlier Arduino boards, and I also explained how to program that microcontroller with an ISP. 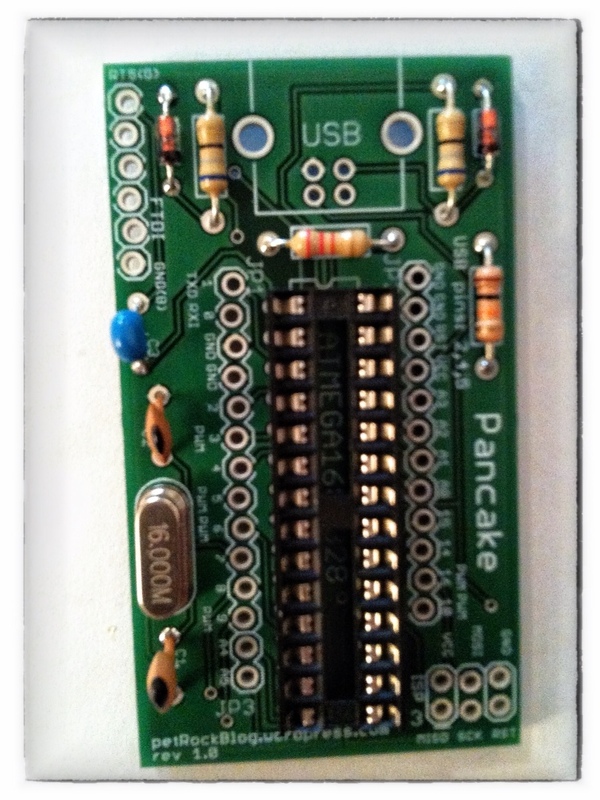 Here, I present a small all-purpose board that contains exactly that minimum configuration together with an USB-B connector. 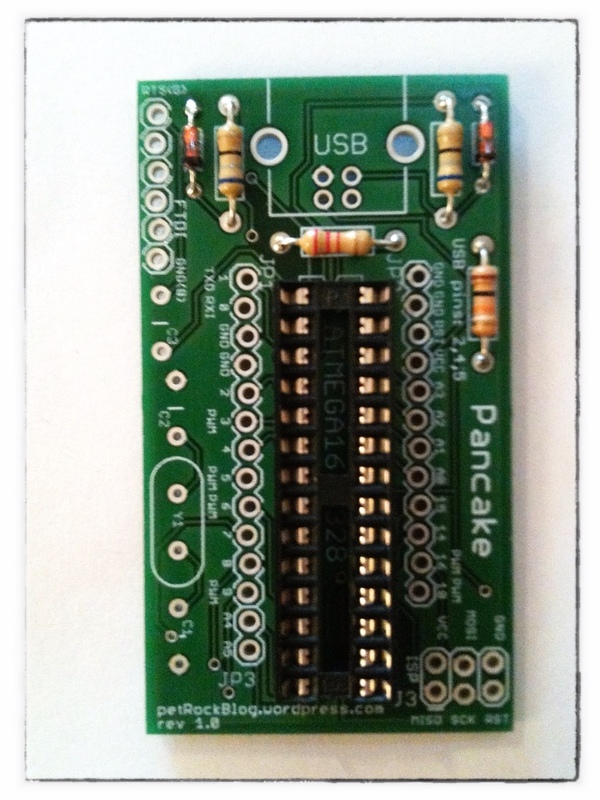 The USB connector has two purposes: First, it provides the 5V voltage as power source for the board. 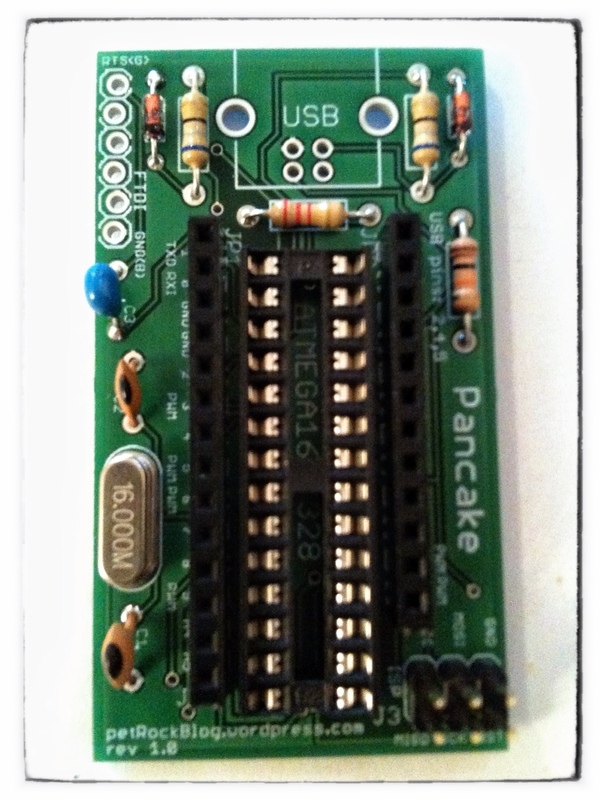 And, second, it is fully connected to the microcontroller, so that it can be used in combination, for example, with the V-USB library. At the end of this article I show an example for this board that implements a virtual keyboard. 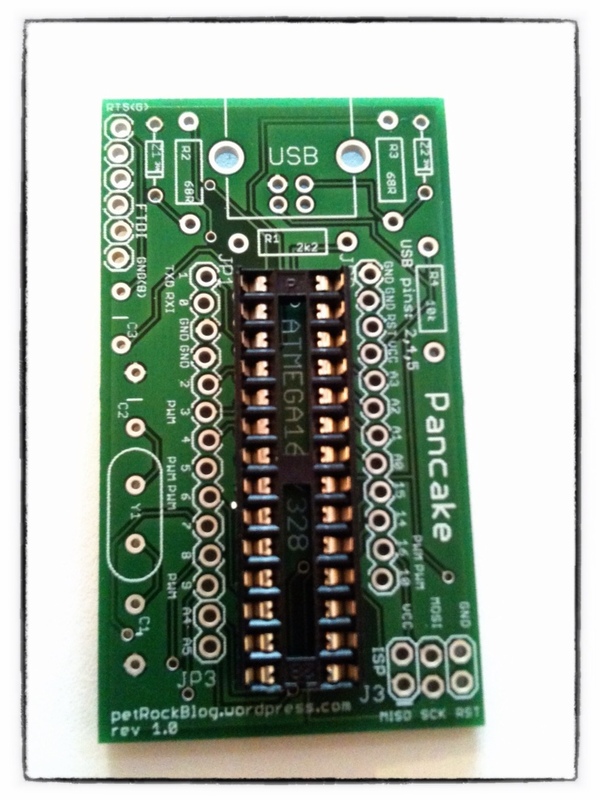 The board provides two programming interfaces: You can either use a 6-pin ISP, or a FTDI programmer to get your code on the microcontroller. And the last thing that I want to mention before we go deeper into the details, is that all parts of this boards (which are not so many) are through-hole parts. This means that you can easily solder the whole board without the need for costly equipment or professional soldering skills. Everything needs a name. Because they are tasty and I somehow thought of them at that moment, the board is called “Pancake“. 2 Zener-Diodes 3.6V, 0.5W or smaller! Now, you can plug in the ATMega into the DIP socket. 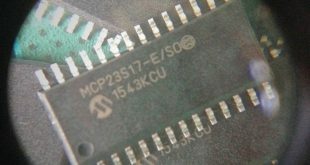 In order to use the Arduino IDE forego ramming, you need to burn the bootloader of the Duemilanove ATMega328 as described in this previous post with your ISP. Do not forget to press the “shift” key to tell the Arduino IDE to use your programmer! 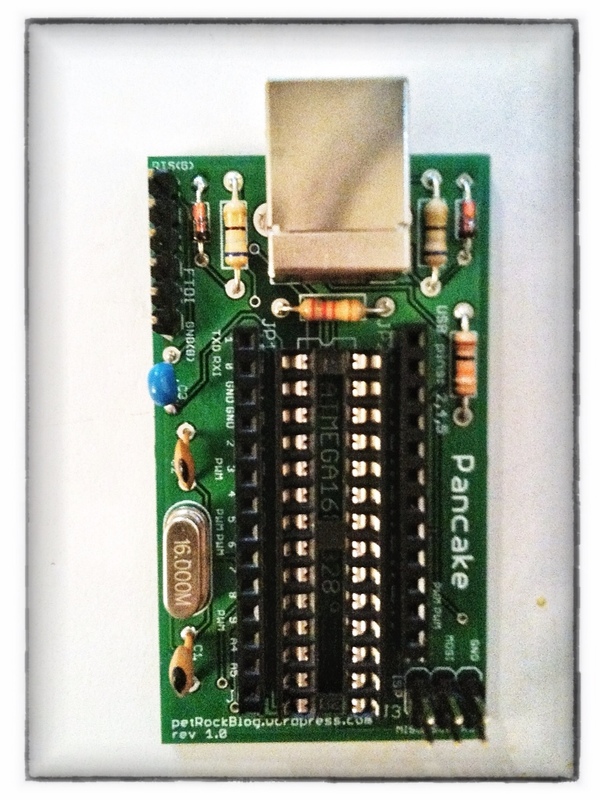 I used the Pancake Board for a remake of my SNES-Controller-iPad adapter. 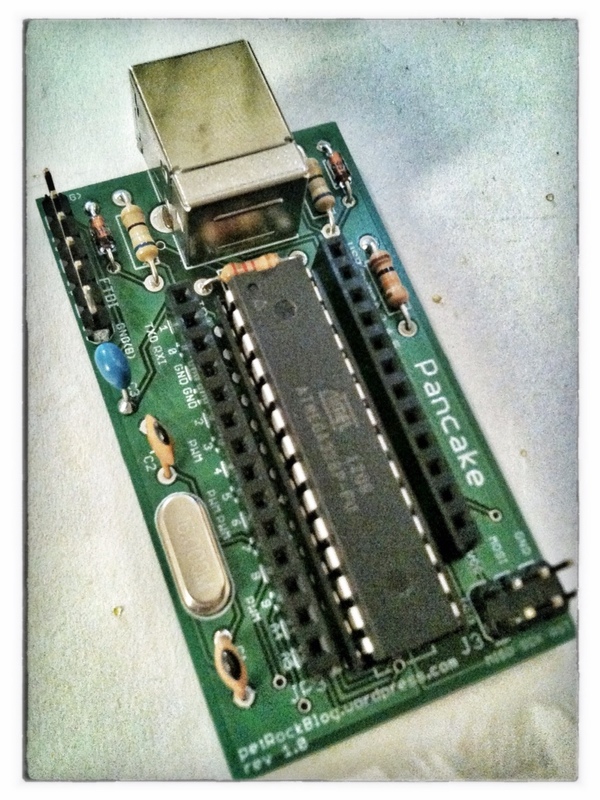 While connecting the Pancake Board with the SNES-adapter board I realized that it would be of advantage in future projects, if the ISP header would be rotated and have more space to the female header. Thus, I already slightly revised the board layout accordingly. 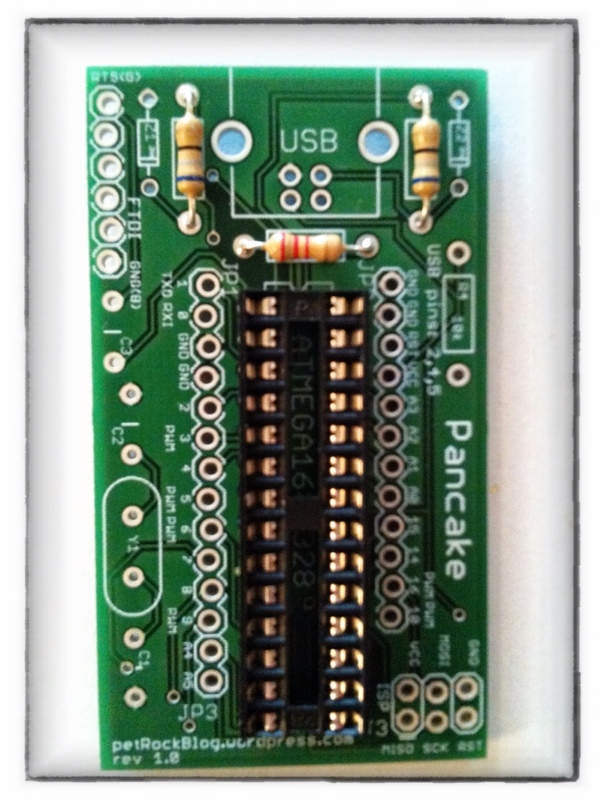 I am thinking about making this board more easily available, for example, as a self-assembly kit. If you are interested in this board, just send me a mail!